As mentioned above, Valeant Pharmaceuticals is having a rough time in the market after one of the company’s largest bond holders informed the company that it intends on calling a default. The bond holder is Centerbridge Partners, and it has cited VRX for failure to file its annual report on time. So, what’s the big deal? Well, if Centerbridge Partners does call a default, a clock would be set in motion. From the point at which the default was filed, Valeant would have a 60-day period before it had to file its annual report. If the company was not able to file its annual report within that time, it would be forced to repay its bonds early. 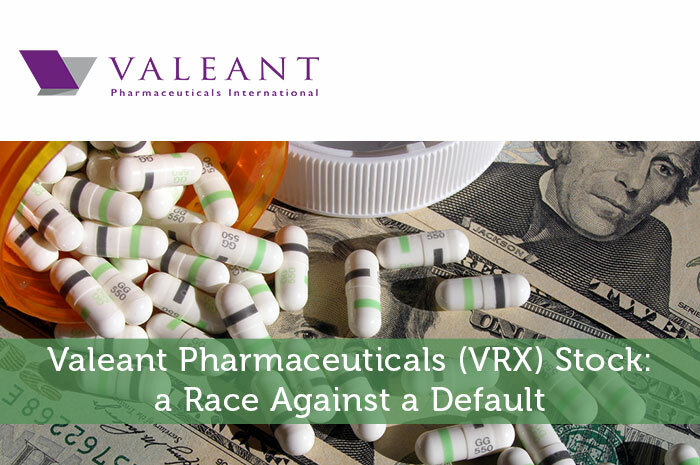 That doesn’t sound like a huge punishment, but when it comes to VRX, it actually is. The reality is that if the company were to be forced to pay its bond holders early, it could ultimately lead to default notices in other parts of the about $30 billion in debt that VRX currently carries. As a result, Valeant isn’t taking this issue lightly. The company announced that it is working to file its annual report by no later than April 29th. If the company can meet this deadline, it would effectively be able to avoid the default all together. So at the moment, VRX is in a race against time. Either it works quickly to file its annual report or a storm of debt is likely to take the company and its investors down! As investors, we know that any time news is released we can expect to see movement in the market as a result. When there is positive news circling a publicly traded company, we can expect to see gains in the value of that company. Adversely, when negative news is released with regard to a publicly traded company, we can expect to see declines in the value of the company. With that said, the fact that a large bond holder with VRX is threatening a default is overwhelmingly negative news. So naturally, we saw a negative reaction. In after-hours trading, the stock fell by more than 5%. However, we’re starting to see a recovery today. Currently (12:30), VRX is trading at $32.65 per share after a gain of $0.66 per share or 2.06% thus far today. Moving forward, I have an overwhelmingly bullish opinion of what we can expect to see from Valeant Pharmaceuticals. The reality is that a bond holder calling a default is a bad thing. However, the company has about 2 weeks to avoid that and there’s no reason the company wouldn’t be able to do so. The reality is that thanks to recent declines, VRX is trading at a heavy discount. After all, with the Walgreens deal, the company is building its prescriptions back up and selling treatments. All in all, things still look great to me when it comes to Valeant.